Once you have seen and experienced the magic of the desert, if’s time to sail across the dividing waterway of the city - the Creek - in a traditional wooden dhow boat. See the city from a different angle and take in the modern architecture and twinkling city lights as you move gently from the Bur Dubai harbour to the Deira side. 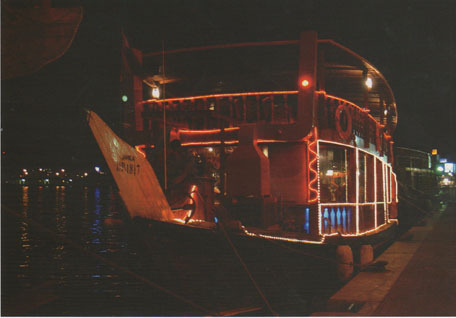 The boats are called “Al-Abra” and were traditionally used to cross from one side of the Creek to the other side before connecting bridges were built. The trip includes a romantic setting, entertainment of a musician, Henna art, a magician and a superb European and Eastern buffet.